If you’re like many of your fellow Americans, along with the frantic pace of the holidays comes the quiet determination to turn over a new leaf and start fresh in January. 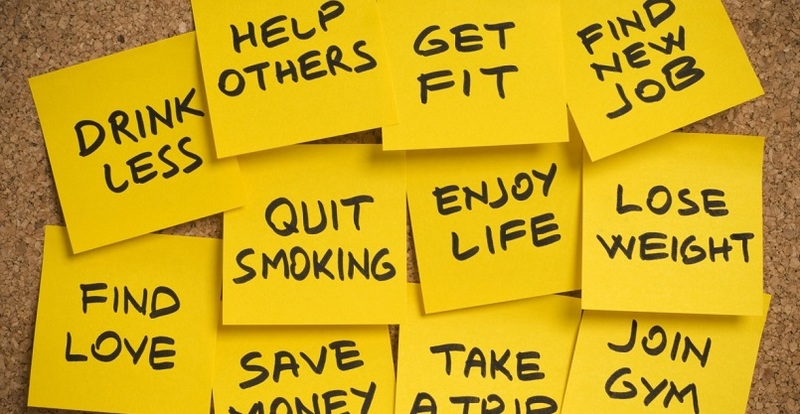 Forty percent of Americans make New Year’s resolutions ranging from losing weight, getting fit, being more fiscally responsible, and quitting smoking. Of those forty percent, research has found that only 75% keep the resolution past the first week, 71% past two weeks, and after one month, there’s only 64% hanging in there. By the time June rolls around, only 46% are still plugging away. That’s less than half of the original group. Ultimately, only 8% of those who make resolutions actually achieve them. So what’s the secret? How do some manage to hang in there while others fade out so quickly? The answer can be found in science. Dr. Michal Ann Strahilevitz says that most resolutions fall into one of four categories – self-care, giving more, accomplishing more, and enjoying more. “If you want to maximize both your short-term joy and your long-term sense of having a meaningful life, you want to make sure to move your life in a direction where you have a nice balance of all four categories,” she says. So how do we do that? Strahilivitz offers these practical suggestions for turning resolutions into measurable achievement. Start by writing down your resolution. Dr. Gail Matthews, at the Dominican University in California, found that you are 42% more likely to achieve your goals if you write them down. The simple act of writing down what you’d like to achieve pushes you to think strategically, ask yourself questions, and to come up with a plan to make it happen. Be specific. Vague resolutions like “I’d like to lose weight,” or I’d like to get out of debt are weak, and likely to fail – quickly. By being specific – “I’d like to lose 50 lbs. this year,” or “I’m going to pay off my VISA bill by June,” are more likely to succeed. Why? Because you’ve clearly defined your objective and can easily discern when you’re getting off-track. Be accountable. It’s easy to blow off your goals and give up if you’re the only one in on the plan. Get an accountability partner and check in with them regularly. Accountability is highly motivational. Link your goals to positive motivation and happiness. Strahilivitz suggests writing down three reasons you want to achieve your goal, identify the positive emotions that will follow, and share it with someone you trust. Likewise, she suggests identifying three negatives that will result if you fail to follow through, both tangibly and emotionally. “I’ll still be in debt, struggling financially, and won’t be able to travel as I’d like. This will leave me frustrated, discouraged, and embarrassed. Reward yourself along the way. Don’t wait until the goal is met to celebrate – celebrate milestones along the way. Go get a massage when you’ve lost those first ten pounds, splurge on a fancy coffee when you’ve made that first big dent in your debt, or simply take an afternoon to yourself. Conversely, Strahilavitz suggests adding a little pain to failure. Personally, she committed to working out six days a week, and if she failed, she had to donate $100 to a charity whose values are contrary to her own. It’s been highly effective in keeping her motivated, and so far, she’s avoided donating. Finally, if you falter, get back up and try again. Success is less about getting it right the first time and more about a series of do-overs. Never let a setback define or derail you. Join host @DianeNassy and the #MobileLiving team at 3 pm ET (12 noon PT) TODAY, Friday, December 28 as we chat about New Year’s Resolutions! 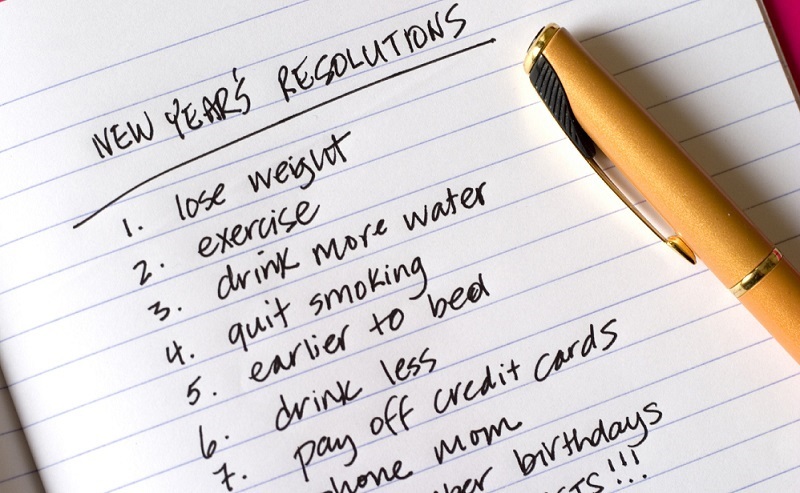 Making New Year resolutions is the easy part; keeping them is a whole lot harder! Join us as we share our goals for 2019, swap tips on how to stay the course, and discover how your mobile lifestyle can lend a helping hand! RSVP and attend the chat for a chance to win a Fitbit Charge 3 Activity Tracker or a Bose SoundLink Color 2 Bluetooth Speaker! Join us on TweetDeck or HootSuite (#MobileLiving) on Friday, December 28 between 3:00 – 4:00 pm ET. 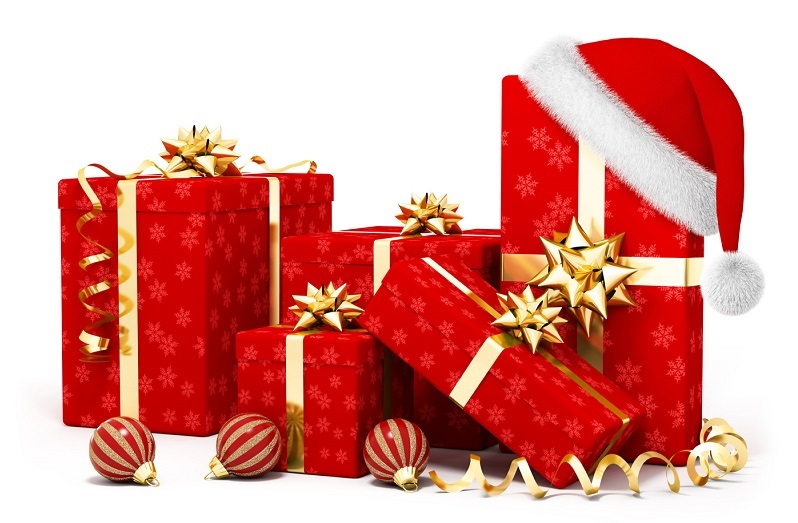 Do you have someone on your list that’s virtually impossible to buy for? A parent who doesn’t want or need more “stuff” because they’re planning to downsize? A child that has more toys then Tom Hanks in “Big?” A friend that eschews consumerism? Behold, I bring you glad tidings of great joy – the subscription box. No matter their interest or personality, there is a multitude of great subscription boxes out there at a variety of price points. Here are some of the most popular. The granddaddy of them all is Birchbox, who kicked off the subscription box trend back in 2010 when it offered a monthly delivery of personalized beauty samples for just $10. Once you fill out your profile, Birchbox picks five samples of both “prestige and niche” beauty products for you to try. If you decide to purchase full-size versions of your favorite products, you get $1 back in Loyalty Points for every $10 you spend in their Shop. They have several promotions right now on their original $10 a month subscription, $30 for three months, or $110 for a year. If you have a foodie in your life, Try the World or Love With Food are great options. Try the World does just that – every month you get a selection of foods from around the world. You can choose Countries ($39/month) or Snacks ($19/month). Love with Food ships junk-free all-natural, organic or gluten-free snacks and each subscription helps fight childhood hunger. For every box shipped, they donate at least one meal to American families in need. Subscriptions start at $7.99 a month. If you’re looking for something for the wine connoisseur in your life, Winc, California Wine Club, and Cellars Wine Club are great options. Each has you complete a taste profile that helps identify your wine preferences. You can stick to what you like or explore wines you may be unfamiliar with. Subscriptions start at $13 a bottle and up, so you can choose to be as fancy as you like. For the pet owner on your list, there’s no end of options. 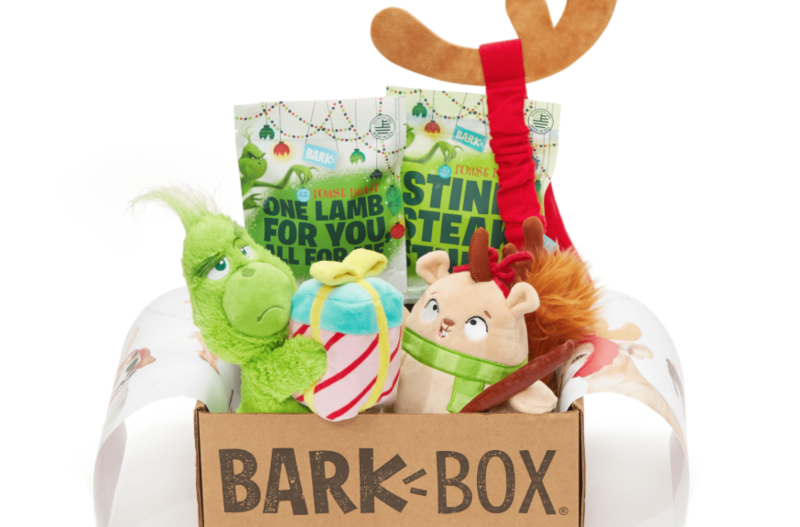 Choose Bark Box, that ships you and your dog a box of toys and healthy treats for as little as $19 a month or even a WINEDOG Box a seasonally themed monthly box with wine-themed gifts for you, and a (non-alcoholic obviously) treat for your pup. Subscriptions start at $35 a month. For the cat-lady – or gent – in your life, The KitTea Kit subscription box ships cat-themed samples and accessories every month, or choose The BUB CLUB SUB BOX, a quarterly subscription that ships exclusive premium Lil BUB items, with a portion of proceeds providing food for homeless pets. Subscriptions start at $23. Kiwi Crates make great family gifts. Every month, you’ll receive all the supplies for creative art, science, games, and activities. Set your preferred age group – e.g. ages 0-36 months, ages 3-4, ages 5-8, etc. – choose your plan, and then sit back and anticipate activities designed by educators, makers, engineers, and rocket scientists – seriously – rocket scientists. For example, in the toddler themed box, you’ll get two to three developmentally appropriate projects, a copy of Wonder Magazine, access to Online Resources, and a Tadpole Board Book. Subscriptions start as low as $16.95 a month, shipping is free, and you can cancel any time. Are you ready to put 2018 to bed or are you dreading all the unfinished business turning the calendar means? However, the year treated you, there are ways to wrap up 2018 on a positive note and allow you to look forward to 2019 with hope and fresh determination. Start by reflecting on the past twelve months, even if the “minuses” outnumber the “plusses,” you did have some successes and victories. Write down the things that made you happy – goals achieved, time spent with loved ones, or even a promotion at work – and reflect on how each made you feel. Research has found that a positive outlook not only boosts mental health, but it has an impact on your body as well. Now that you’ve got a list of tangible goodness, make sure that going forward you celebrate those positive milestones with those you love. This will reinforce the positive memory and ensure that it carries affirming emotional energy when you look back on the event. While you’re at it, take the time to acknowledge those who have supported and walked beside you over the past year. It doesn’t need to be a flowery, Byron-esque poem, but a simple Christmas card or text message saying you are grateful for their friendship will lift your spirits and brighten their day. Who doesn’t want to hear they’ve been an encouragement in the midst of the holiday madness? Sit down and take stock of your to-do list. What absolutely has to be done by 12/31/18 and what can wait. Prioritizing your calendar will allow you to take a breath – mentally and physically. Sorting the urgent from the important and the irritating is an immediate mood-booster. Adopt the One Minute Rule. Sometimes, when we look at our to-do list, it’s all we can do not to throw the list in a fire and go back to bed. But, adopting the one-minute rule breaks all those somehow, sometimes, little chores like putting away a basket of laundry or putting the breakfast dishes into the dishwasher manageable. A minute is such a tiny increment of time, but you can accomplish more in that minute than you think. Plus, when the task is complete, you have an immediate sense of satisfaction as well as having reduced some clutter. That’s what I call a win. Years ago, someone told me each of us has A-listers and B-listers in our circle. A-listers are those who are invested in a mutually beneficial relationship – they’re there to support you, encourage you, and pick you up when you fall. B-listers are only interested in what you can do for them. Going into the new year, be mindful of the relationships that empower and encourage you, and those that drain you. I’m not suggesting you cut people out of your life, but don’t spend unnecessary time or emotional energy on those who aren’t deserving. Set healthy emotional boundaries and live within them. So no matter how 2018 treated you, you have the power to end it well. Here’s to 2019 being your best year yet! ‘Tis the season for last minute shopping. Although many of us vow that this year will be different, inevitably, there’s one more gift you forgot to grab. Maybe it’s a last minute RSVP for Christmas dinner, Secret Santa, or to replace something you’ve ordered that won’t be here in time, these suggestions should cover just about anyone on your list. The Takeya 10310 Patented Deluxe Cold Brew Iced Coffee Maker is under $20 and available with Amazon Prime, so you’ll have it by the weekend. Cold brewing extracts only the rich coffee essence, leaving behind the bitter, acidic bite of the hot brewing process. Once brewed, concentrated coffee from your Takeya can be kept fresh in its airtight container for up to two weeks and used for either hot or iced coffees. When you were a kid, getting socks was like, so lame, but as an adult, it’s a whole different story. Actually, even kids will get a kick – see what I did there? – out of Target’s Santa’s Sleigh 12 Days of Socks Advent Calendar. It’s a mix of holiday-themed low-cut, no-show and crew socks and shipping is free and guaranteed for December 21. Remember when getting the mail was fun? Other than the occasional birthday card or wedding invitation, the only time of the year it’s fun to go through the stack of bills and junk mail is Christmas. Change that up with a magazine subscription. Magazines.com offers discounted subscriptions on both digital and hard copies of magazines. Currently, Sports Illustrated is discounted 76%, us Weekly 67%, and Entertainment Weekly is 87% off the cover price. Everyone’s crazy about the Yeti water bottle, but at $39, it’s a little steep for some budgets. Instead, opt this highly rated dupe from Walmart – the Ozark Trail Vacuum Insulated Stainless Steel Water Bottle. Available in nine colors, it keeps your drinks hot or cold for hours. It’s on sale for just $6, so you can afford to get one for everyone on your list. If all else fails, it’s never a bad idea to grab gift cards. Once the go-to of aunts and uncles who don’t really know you, gift cards have become far more widely available for almost every restaurant chain, movie theatre, or even specialty stores like Bass Pro Shops, The Disney Store, Pet Smart, and Jiffy Lube. 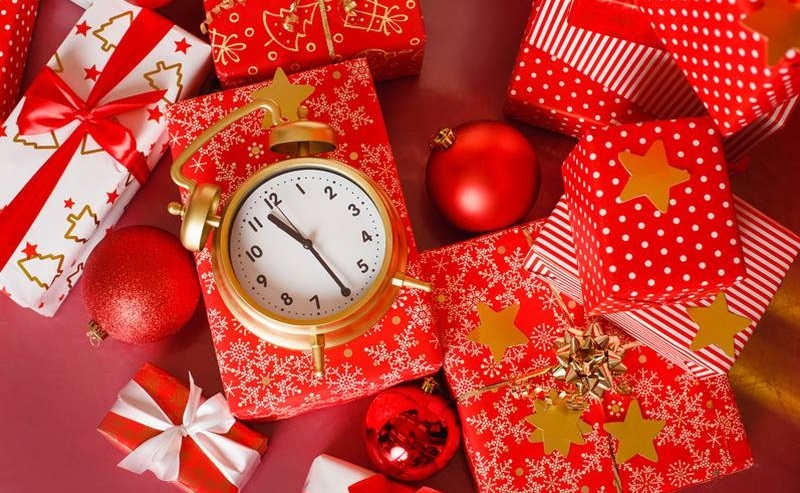 Join host @RickGriffin and the #MobileLiving team at 3 pm ET (12 noon PT) on Friday, December 21 as we offer a wealth of last-minute Holiday shopping ideas! Still got gifts to buy? Cards to send? Decorations to hang? Don’t worry, you’re not alone! We can’t write those cards for you but we can definitely help with some great gift ideas. Join Rick and the team this Friday as we indulge in a little Last-Minute Madness! RSVP and attend the chat for a chance to win a JBL Flip 4 Bluetooth speaker or a brand new iPad! Join us on TweetDeck or HootSuite (#MobileLiving) on Friday, December 21 between 3:00 – 4:00 pm ET. Back in February, over one thousand toy companies debuted innovative and imaginative toys at Toy Fair 2018. From this massive exhibition, a number of toys stood out for their creativity and pure fun for kids, and they’re proving to be a hit this holiday season. If you’re looking for gifts that will spark imaginations and inspire your kids from STEM to fashion design, these toys should top your list. If your kiddo is a Star Wars fan, Sphero’s R2-D2 App-Enabled Droid ($30 – Walmart) is going to be a big hit. Users can control R2-D2 via an app or a Force Band, with sounds and bright LEDs lights that mirror R2-D2’s onscreen personae. kids can use the Sphero Edu App to learn to program three different ways and complete STEM activities or explore a holographic environment like the Millennium Falcon to further immerse themselves in the Star Wars universe. The smART sketcher Projector ($49.99 – Target) makes drawing, coloring, and writing fun through a simple-to-use app or preloaded SD cards. Kids simply upload any photo, and then the (free, downloadable) app automatically turns it into a sketch that they can then trace onto any write-on surface like paper, canvas, or wood. Kids can send photos from any smart device via Bluetooth. smART Sketcher comes with Colored Pencils, 20 Sheets of Bordered Paper & an AC Adapter. Magformers are bright, colorful and educational 360-degree rotating magnets designed to attract the magnet encapsulated in the next shape allowing kids to construct in 3D. The Magformers 44-piece Sky Track Play Set ($99.99 – Magformers.com) allows kids to build a space coaster then send the included sky-car speeding through its loops and hoops. As always, the Sky Track Play set is compatible with other Magformers sets, so the only limit is your child’s imagination. Elenco Snap Circuits Bric: Structures takes ordinary bricks you have in your toy box – think Lego – and brings them to life. Kids can snap-together circuits to make their builds light up, move, or even make sounds. The set comes with 20 SNAP CIRCUITS® component parts, 75 Bric-2-Snap adapters, over 140 fully compatible building bricks, and a full-color, easy-to-read project manual so your kids can start creating from the moment they open the box. Similarly, LittleBits Hall of Fame Kits ($27.95 and up) are designed so kids can use both their right and left brain so instead of STEM (science, tech, engineering, and math), it’s STEAM (science, tech, engineering, ARTS and math). Each LittleBits toy uses snap-together circuits so kids can create while learning STEM skills. This years’ kits include a night light, a bubble bot, a crawly creature, and an arcade game. Join host @RickGriffin and the #MobileLiving team at 3 pm ET (12 noon PT) on Friday, December 14 as we chat about Fun for Foodies! We talk about it, we plan our days around it, we photograph it, and sometimes we even eat it! Yes, it’s everyone’s favorite topic – food! 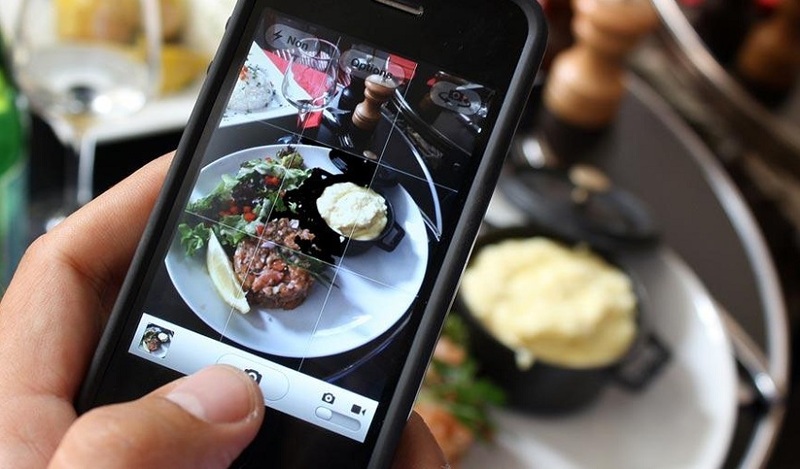 Join us as we share our favorite dishes, restaurants and more, and explore how mobile technology and social media have turned us into a nation of foodies! RSVP and attend the chat for a chance to win a $100 Amazon Gift Card or a Google Home Hub! Join us on TweetDeck or HootSuite (#MobileLiving) on Friday, December 14 between 3:00 – 4:00 pm ET. Like most parents, you’ve likely spent most of your list-making energy deciding who’s been naughty or nice and curating your kids’ wish lists to match your budget. But what about you? What about your partner? 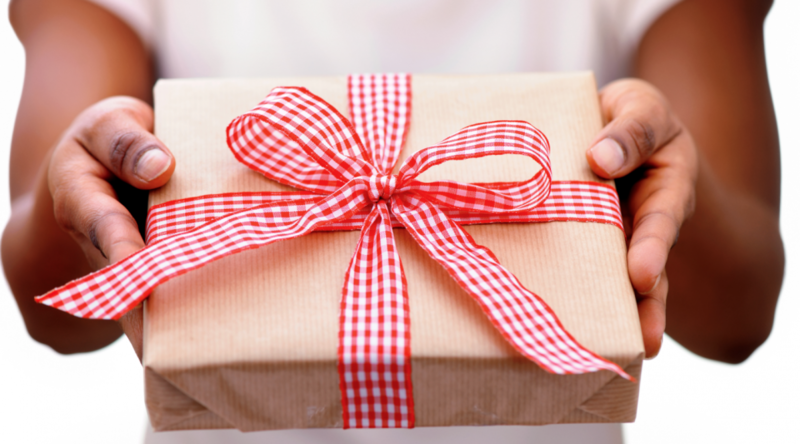 This holiday season, what are the best gifts for moms and dads? 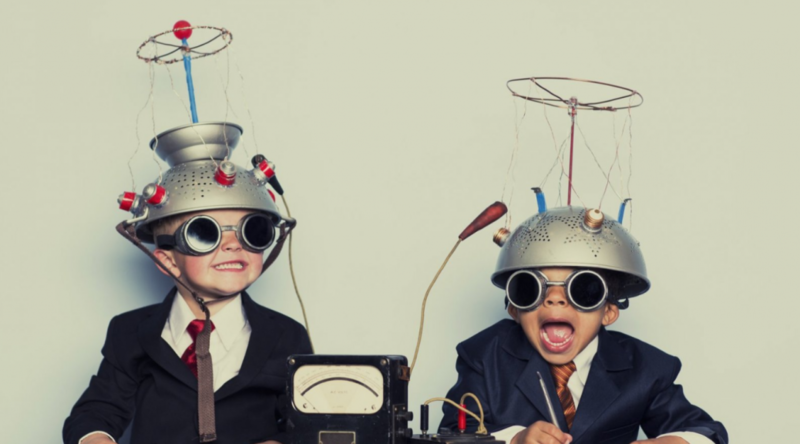 This list of holiday tech should help you come up with some great ideas. Whether you’re into the medicinal benefits of essential oils or think it’s the modern version of snake oil, you can’t argue that everyone enjoys a house that smells good. An essential oil diffuser can smell nice and scents are known to alter moods and performance. Soothing lavender or vanilla, energizing peppermint or eucalyptus, or even frankincense for relaxation. If you’re in the market for a new TV or an upgrade for your home theater, consider swapping your flat screen for a projector. 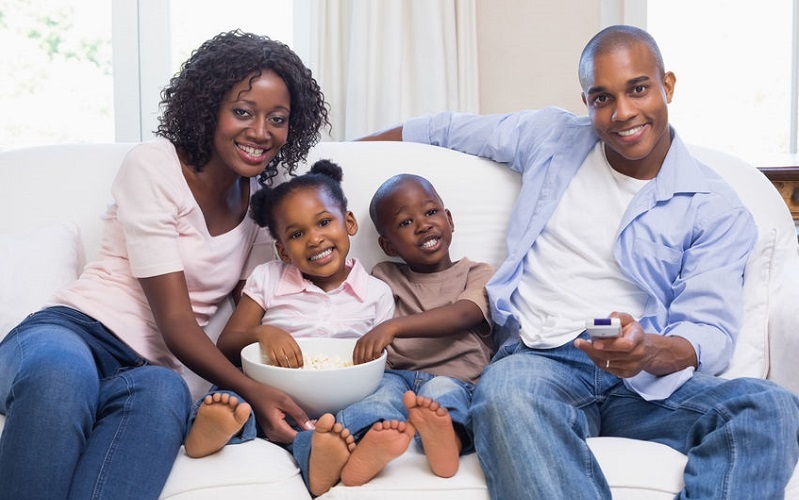 The cost of home theatre systems has dropped making customizable options more affordable than ever, plus they’re a great option if you have little ones who have trouble sitting through an episode of Peppa Pig let alone a feature-length movie. Individual specs vary, but some can project a 50-inch diagonal image from as little as 32 inches away, and with LED projection, you won’t have to replace the lamps. Speaking of home theatre systems, even if you’re not in the market for a new TV or projector, you can boost your home theatre experience with a new surround sound system. You can choose from a Home-Theater-In-A-Box (HTIB), or if you prefer to customize, you can buy the speakers and the receiver separately. Keep in mind lower end systems will mean running wires and cables while higher-end systems will be totally wireless. Either way, a complete system is within reach for less money than you may think. Tablets have come a long way since the introduction iPad, though tablets were around long before 2010. They keep our kids entertained, have become essential to the way many do business, with their lightweight portability and robust software. Whether you opt for a PC based tablet like Amazon’s Fire 7 Tablet with Alexa or Apple’s iPad Pro with iOS 12, whatever your need, there’s a tablet for that. When the smartwatch was introduced back in 2015, many thought it was going to be one of those “Nice try, not interested,” devices. Not so. Today’s smartwatches are sleek, pack user-friendly interfaces with larger buttons than previous iterations, and longer battery life than ever before. If you’re in the market, this list can help you decide which best fits your needs.